Our new 31,000-square-foot building in Lexington, South Carolina, is a two-story comprehensive facility offering orthopedic physical and occupational therapy, wellness programs including MedFit12, nutrition services and sports performance testing and training. 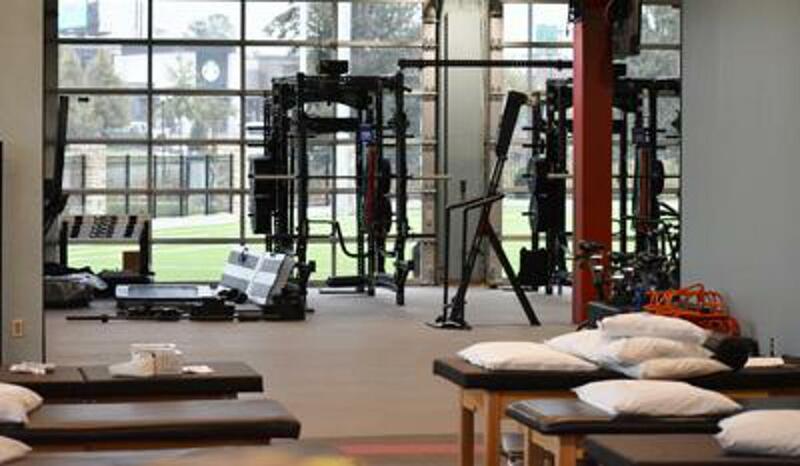 This new facility is the only sports science lab in South Carolina with the ability to test for anaerobic capacity (VO2 max) and evaluate movements, including the ability to analyze an athlete’s golf swing, pitching, batting and other sport-specific motions. Our facility has a Hydroworx® treadmill pool, which is a rehabilitation pool complete with a moveable floor for variable water depths, as well as hot and cold plunge pools. This Hydroworx treadmill pool is the largest available in South Carolina for public use, and allows patients to correctly simulate land-based walking, running or sport-specific activities without the high impact of full-body weight on joints that occurs on land. The use of the aquatic treadmill aids in recovery by allowing a fuller range of motion at an earlier stage during rehabilitation. This results in regaining flexibility for faster healing and strengthening of injured tissue. The facility houses the only 3D motion analysis center in the state that is available to the public, as well as the only all-inclusive center in the state to analyze biomechanics, physiology and mental performance.